Princess Magnolia is excited. Excited and nervous. She’s going to the Interkingdom Science Fair today to present her poster about seeds and plants, and when she arrives, she sees that her friends are there too! Princess Honeysuckle made a mole habitat, Princess Sneezewort has built a blanket fort, and Tommy Wigtower has a talking volcano that’s saying “EAAAAT!” Wait, what? A surprise goo monster makes this a job for the Princess in Black, and the Princess in Blankets is on the scene to lend a hand. But will two masked heroes be enough to save the science fair? 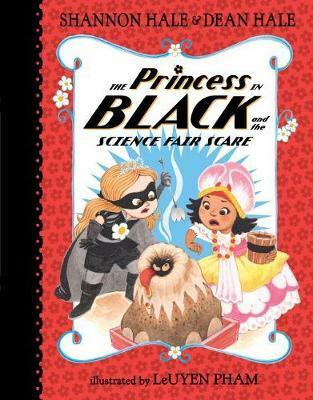 A little scientific problem-solving - and a lot of princess power - will make the sixth entry in the New York Times best-selling series a smash hit.